Summer is just around the corner, and that means something else might be lurking around the corner, too: A huge pothole. Potholes seem to crop up all the time, new ones appear out of nowhere and old ones getting bigger. According to Popular Mechanics, because roads are going through a constant process of steaming hot to cold, expanding and contracting—that can lead to cracking, and when you add water to the mix, and constant pounding of ever increasing traffic—it’s a perfect recipe for potholes. Potholes are really bad news for cars, though, because potholes can damage your tires, wheels and even your suspension. Here are some tips on how you can avoid them or at least minimize the damage — as well as what to do when you can’t. Driving at safe speeds that way you have time to react. Always keep your car in good working order. When it rains watch out for puddles, which can hide potholes. Take extra care at night, when it’s harder to see the hidden pothole. Don’t swerve suddenly into another lane to avoid the pothole the lane could very well be occupied. That can create an even worse scenario than hitting the pothole in the first place. And what if you can’t steer clear? Sometimes you just can’t avoid one — you have got to have to drive through a pothole. The Texas DOT advises to slow down as you approach the pothole, and then ease off the brakes before you hit it. Doing this helps your car absorb the impact better. Always take on the pothole with your wheels turned straight, because an angle can cause even more damage. 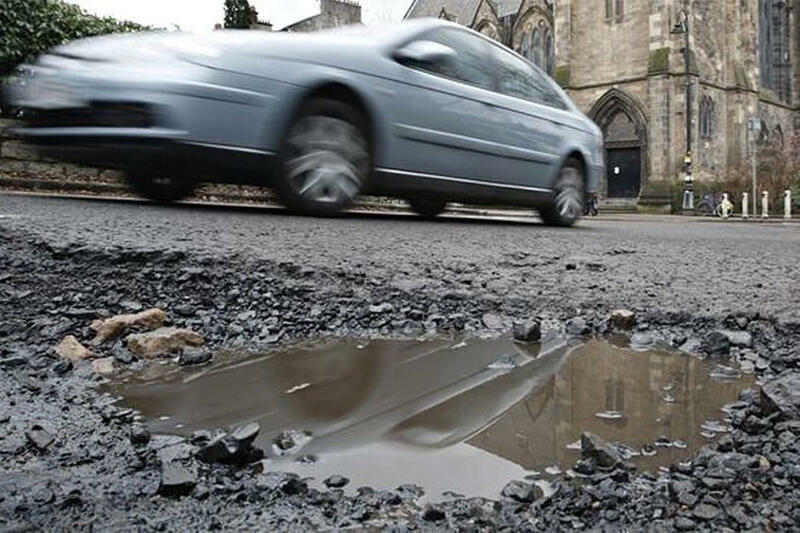 Even if there is no avoiding a pothole, having a well-maintained vehicle can lower the chances of damage. Plus keep your tires properly inflated, and make sure your suspension and even your steering are in good shape, too. The Big Question Who Pays for the Damage? So, the pothole has been hit. Is there damage to your vehicle? Does it feel different when you drive it (is it pulling to one side, for instance), or is there damage or can you see that your tires or wheels have been affected, don’t take a chance, get your car checked out—most of the time it’s free. Now here’s the good news, you aren’t necessarily the one to have to pay for repairs — or the at least the full amount — that is if you have collision coverage. Collision coverage will typically cover pothole damage, of course, subject to your deductible. You should check with your car insurance agent to discuss your unique situation. Like they always say, “Prevention is the best medicine — and that more true than ever for the damage potholes can cause. Always use caution on the roads, keep a lookout for hazards, and follow these tips to help minimize the impact potholes have on you this summer and beyond!